This healthcare KPI is designed to measure the length of time patients must wait before seeing an ER doctor. It is a measure of performance and efficiency of care. ER wait times are a vital measure of performance and quality of care as they track one of the most sensitive areas of a hospital. Emergencies require agile treatment, and hospitals must constantly strive to reduce wait times and offer better procedures for speedy treatment. Measuring how long patients must wait reveals issues in the admissions process, the speed of treatment, and physicians’ ability to provide quality care. Additionally, they can be measured in both immediate terms, or over longer periods of time to determine trends and allocate resources better to reduce workloads and stress. You can calculate average ER wait times by measuring individuals’ time between when they walk in the doors and when they are discharged or admitted for further procedures. To find the average, calculate the mean time and compare individual times against it to determine success. 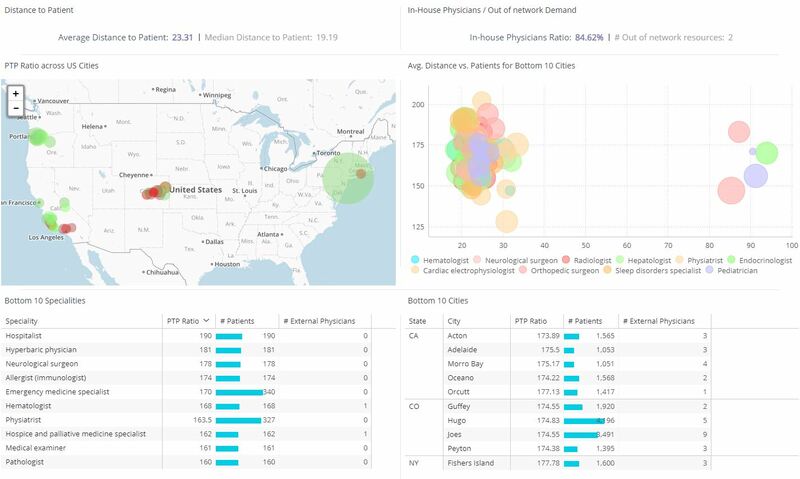 To measure overall emergency room wait times you can extract data from your facility’s CRM or admissions software, as well as metrics found in patients’ records. Let’s imagine a hospital that has seen its emergency room experience a steep decrease in patient satisfaction. The number of patients leaving before their treatment is increasing even as emergency room costs in the wing continue to rise. By measuring ER wait times at a variety of stages, a healthcare data analytics administrator can find pain points along the process to alleviate. For example, the first measurement of value is how long patients take to reach triage. For critical or severely injured patients, this is a crucial measure, as time is of the essence. Next, the hospital could measure the time it takes for patients to be attended by a physician, and how long until they are discharged or admitted for further care. This data can be measured against metrics such as the number of patients that leave without receiving full treatment to determine the problematic areas.